No trees or animals were harmed in the producing of the message, but many electrons were seriously inconvenienced!! Laughter is the best medicine!! Always find the bright side even when it looks totally bleak. Ok everyone, someone below said Spark to Flame. Let's all flame up and go! I am SO happy for you Debbie!! Well for the first time in 3 weeks I have felt like getting out of bed and making myself breakfast. Not the pantry-quick kind of breakfast, not a cook for 30 minute either, but out of bed and consciously making a well rounded breakfast. Yay God is so good to me! SANDRA ..... I understand your struggle so well but you will battle this day and get past restarting. Hugs! Today is the first day I am back on plan since my mom died. Leader of the BL CRYSTAL TIGER'S Team! This week was a little exciting as my partner needed cataract surgery so I had to drive him to the hospital and wait around. I took the opportunity to climb stairs and walk laps around all the floors......that might have been a little bit much on my feet....especially 2 days in a row. But the steps were there and they were calling my name and so I did it and now will give my feet a delicate break and just back to rowing today!!! I finally started measuring and tracking my food again Tuesday or Wednesday! I finally feel like my tiny little spark is becoming a flame again! DETERMINED - That indeed sounds like you've got a solid plan! My ultimate goal is to lose 100 pounds. My plan is eating right kinds of foods and tracking food and water. I'm a smoothie junkie in the mornings.....I really think I could live on those things ;-) I prepare almost all my food from scratch and we live out of town so eating out is very rare. That is a big plus!! My exercise has to be rowing as my feet will not tolerate much walking anymore. I'm going to revisit all my chair workouts for cardio, too. Strength training is essential and I have designed a routine for arms, core and legs. I do each twice a week and rest completely on Sundays. So far so good!! Great job Deb!! 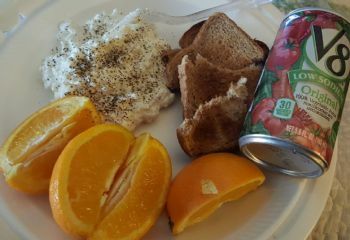 I opted for a healthy breakfast Saturday am as well even though we ate at a restaurant! Later this morning I'm going to have some cream of wheat! I wanted a sausage biscuit this morning but settled for plain toast and natural PB..... making healthy food choices today! Deb - I tried the plain coconut water and it tasted so ick to me! If Core is a coconut drink then I wouldn't risk it. I just heard a doctor say it's great for hydration so DH and I bought a very small container and tried it. Neither one of us could drink it. The flavored stuff might be better, however it has quite a few calories in it. I also do not like bell peppers of any color and I wished I did. They are so full of good for you stuff! I've tried time and again over the years to eat them and I just cannot! I am finding that I like raw spinach leaves on my sandwiches though and I never thought I would like raw spinach! I also love the flavor or Romaine lettuce! To me it is far above and beyond the taste (what taste?) of ice burg lettuce! I could probably drink the Core stuff if it truly has no taste. But I have my electrolytes tested every 6 months and they are always good so I tend to stick with water. I just discovered Core hydration. No taste. Taste just like pure water. Living in AZ all my life, last year I had my first issue with hydration last summer. This stuff helps me A LOT! I drink one a day along with regular water. Core has electrolytes and minerals and is PH balanced. I love the vanilla orange Polar Seltzer, that's my favorite. At Christmas my sober guests noticeably went for the cranberry lime. Check out polar water if it is available near you. It is all natural, no sugar, artificial sweeteners, sodium, or etc. There are many flavors and I like it better than soda and it is cheaper than soda. Some of my favs are cranberry clemintine, triple berry, and vanilla/vanilla-orange. Me too Renia - I love plain coconut too..... just out of the shell. I just can't drink the plain water and the flavored I checked out has so many calories! I don't like to drink my calories unless it's a smoothie! Beth - I tried coconut water and just couldn't stand the taste! Do you drink a flavored one? Did my 8 glasses of water by lunchtime today. I know I need to drink more, so I'm doing it now! WOW that's a lot of H2O! I'd never leave the restroom! I drink 64 - 72 oz a day and I am up and down my stairs so much it's ridiculous! Every half hour or so. On shopping day I put off drinking most of my water until we are done (around 8 am) because I have a huge "thing" about public restrooms! POLSKARENIA .....Regia, TY so much for cheering us all on! I use a glass from McDonalds with a lid and I use a marker to keep count of my water refills all day. BLUEJAY1969 ..... Jeanne, My doctor suggested half my body weight in fluid oz. per day. That's 153 oz daily at this time. My eyes almost rolled out of my head when she said that. At the starting weight that amount was 172 so at least it's headed down. I have to keep a close eye on my electrolytes to be sure I am keeping all my levels up where they need to be. Sports bottles are great. I drink far more if I use one, specially when travelling, although I was really pleased with myself on Saturday - I drank a litre of water on a 1 1/2 hour flight from London to France - yay! Finally getting all my water in! I bought 2 new sports bottles - 32 oz that are easy for me to drink from and I usually get more than my 64 oz a day with them! They are small mouthed and keep the ice out of my mouth as I don't have teeth to "strain" it out! Keep on keeping on, you're going in the right direction and I'm with you too. And herbs and spices added in powder form just make your food more interesting too! Thank you Janis! I'm going to ask the doc if I can add one or two things in once we get stuff figured out! These are just spices and as such will not interfere with my bipolar medications! Turmeric (a main spice in curry) is well-documented to be anti-inflammatory and good for arthritis. You can get it in capsules at drug stores. Ginger is good too. I hadn't heard about sage. Sage tea is good for arthritis! Hi Deb - I hope you have a good day researching! A friend found a great article about the properties of sage..... yep the spice. It's good for pain and inflammation and you can get it in capsules! I'm going to talk to my doctor about adding it to my regime! Spiced ginger tea, then coffee and toast today. Peaches and a protein shake for breakfast and planning my day. Coaching my clients most of today and sneaking in meals when I can. Deb - I wish we lived closer...... sounds like we are in the same boat with needing to go turtle speed and would suit! RICHILA ..... Oh how I wish I had a buddy to work out with AND the strength to get it done! Those work-out dates sound awesome! Maybe when you do so many workout dates, you can have a pedicure date or something fun for you. I have a daily workout date with my daughter-in-law. We have 4 chair aerobics DVDs. I have had these DVDs for years but they didn't get much use until we made an unbreakable date of it. "Through dangers untold and hardships unnumbered, I have fought my way here to the castle beyond the Goblin City to take back the life that weight and ill health have stolen. For my will is as strong as yours, and my kingdom is as great.. You have no power over me." 1 C frozen berries (I like blackberries since I'm allergic to blueberries) We do rotate between strawberries, blackberries, and raspberries. Do you drink a smoothie in place of a meal or as a snack? 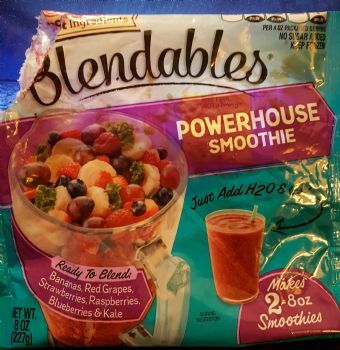 I love the ideas of the blendables smoothies and the new cookware!!! I've had my set of skillets for approximately 9 months now. 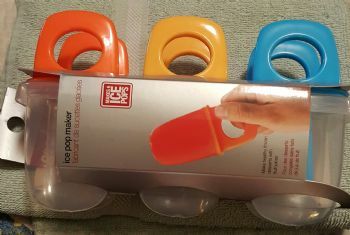 They are durable and dishwasher safe but you do have to use non-scratch cooking instruments with them. But they work great at dry cooking things and not having them stick! I also use ceramic bake ware now as well. We use copper pans, very durable, can be scoured, conduct heat brilliantly and of course are dishwasher safe. Love 'em!! 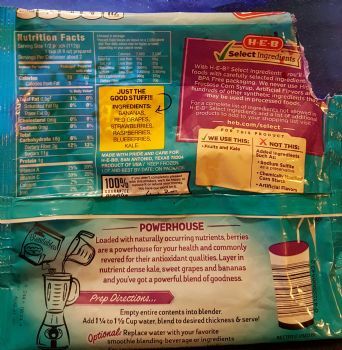 NewSparkDebbie: Are you enjoying your smoothie ice cream treats? What's your favorite variety so far? BlueJay: How long have you had your ceramic pans? I'm in the market for something really durable and dishwasher safe. Been looking at those ceramics! I prefer my onions in my cooking, rather than in my bed lol. Believe it or not...... If it wasn't for the thought of that smell I might have tried it!! Oh how funny!...... Me either! Newsparkdebbie I dont know if I would want to put an onion in my sock.... You would wake up with "stank foot". JANISMKW I think other smartphones probably do too, as well as the better activity trackers, such as the Fitbit Blaze. With ideas like this, people soon latch on and copy so as not to be left behind in the tech'y race. My usual reaction to my Fitbit buzzing at me for bed time is,'omg, already, ' as there just aren't enough hours in the day at the moment. the iPhone has something in the recent system update of the Clock called "Bedtime". It's designed to help you get healthier sleep by going to sleep and waking up at the same times. It has you answer a few questions to start and it sets up a recurring bedtime reminder and wake-up alarm. This trick sounds too good to be true. It's a 100% natural way to detox your body without actually having to do anything. That's because you can literally do this cleansing trick in your sleep! The secret is in our feet, and in a particular vegetable that has some very special properties. You don't have to be a health nut to try this one. It's perfect for anyone who's interested in doing something good for their body. And if you're actually sick, it's a great way to give your immune system an extra boost! Renia ..... That's a great idea..... TY! I have to start cutting back on fluids around 5pm so that I am not running to the bathroom all night. My daughter has sever insomnia and resorts to taking Melatonin. Its safe to take, non-habit forming, and the body already makes melatonin but sometimes it needs a little help with levels. You need to ask your doctor if that's an option. It's available over the counter. I also cut myself off of caffeine, liquid or food based, early as well. I have set up an alarm on my Fitbit that warns me it is 30 mins to bedtime, to allow me to start getting myself together. I think most cellphones now have this sort of facility too. I would like to hear how you make sure you get enough rest and sleep. This remains an issue for me in spite of continued efforts. Too often, I just can't get myself to go to bed on time. That sounds scary but I will try it Polskarenia. Dry frying is cooking without adding fat or liquid to start with. I usually add sliced onion to a cold pan, then, as the pan heats up, move the onion around, which encourages it to release liquid. At this point, it's possible to turn down the heat to cook through and then add other ingredients. I hope that helps. For me, it's really been a case of trial and error lol. What is dry frying Polskarenia? I like to dry-fry onions, as they release liquid, then add mushrooms, and finally chopped tomatoes, either fresh or tinned, followed by ground pepper and herbs. This makes a delicious fat-free sauce, or if it dries out a bit more, a lovely veggie accompaniement to pasta, rice or baked potato. For healthier snacking, I have been having a moderate amount of a product called "Skinny Pop", non-gmo popcorn. I get mine at Sam's club. Tasty and nutritious. I have switched to ceramic pans and you don't need any oil for things not to stick! Cuts out some unnecessary calories! I just ran across these smoothies with the help of my two daughters that are also getting started on their own Healthy walks. They come in at least 6 or 7 different veriaties of mixed fresh fruit and veggies. I CRAVE ice cream late at night...... THIS IS AWESOME! I learned a long time ago that instead of making stir frys with oil to use water and steam them and it works out great. Its just as good. So I fry food with water when possible. This room is for talking about getting healthier and fitter, losing weight, taking vitamins, goals, motivation, new ideas, working out, preparing nutrious food... Anything about how you can or are living the fit live. Questions are welcomed. What is your PLAN? How is it going?